Versatility — it can be an important quality to consider when you’re perusing the classifieds or the Internet, searching for that used boat. 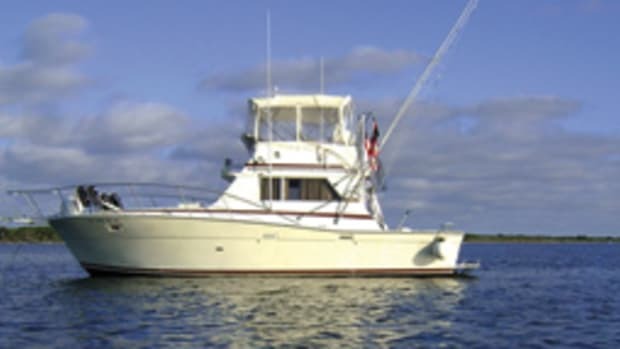 Why not go for the express sportfisherman that can handle a gang of anglers on Saturday and the family on Sunday? 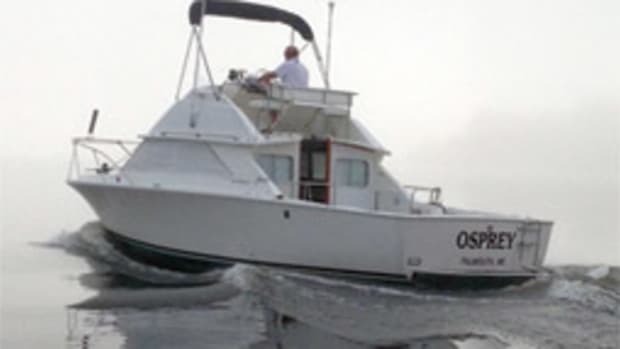 Or a sailboat with both speed around the buoys and the comforts of a cruiser? 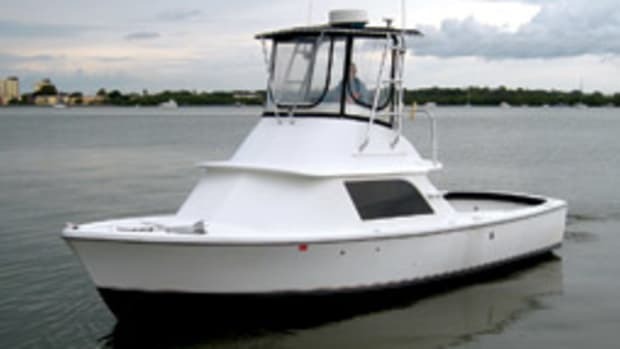 Or a pocket trawler you can put on a trailer? Having a boat that does double duty can only expand your horizons and add to the fun of being on the water. Ask Ray Pickles and his wife, Dianne Bondi-Pickles. 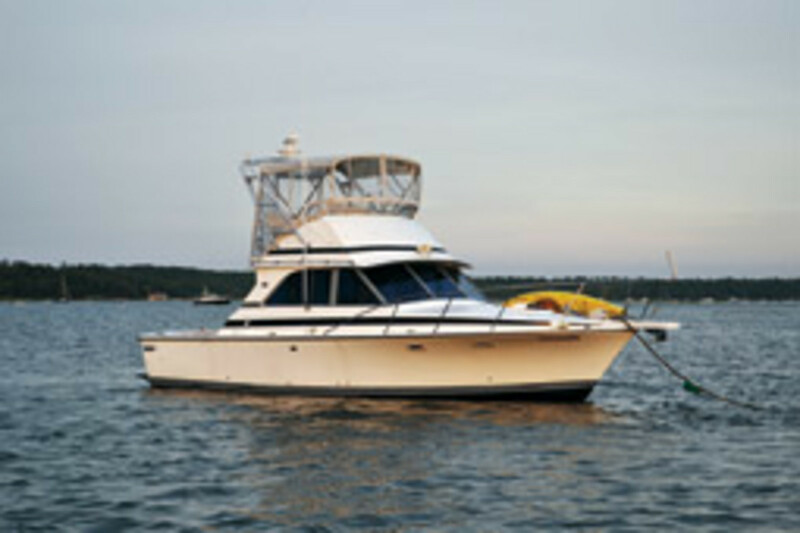 From the ocean swells offshore on the Gulf of Maine to the tidal currents and channels of the fast-flowing Damariscotta River, their 1979 Bertram 35 Convertible has handled it all. “We are very happy with it,” says Pickles, 79, a municipal administrator from Marion, Mass. The two life-long boaters aren’t necessarily easy to please, either. They’ve been cruising together for 34 years, much of it with children, covering the East Coast from Nova Scotia to Bermuda. Pickles started out as a youth sailing Ensigns on Narragansett Bay. His first boat was an International Dragon, a competitive one-design class used in the Olympics from 1948 through 1972. 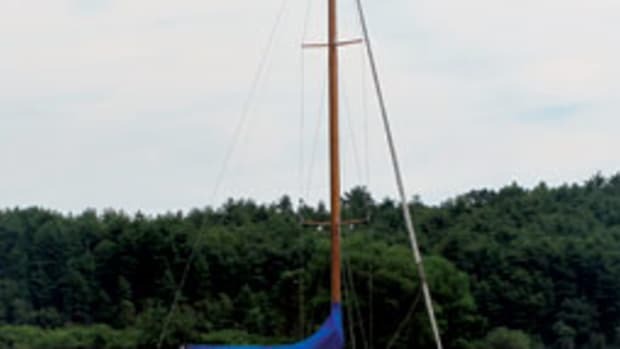 Cruising boats followed — a 32-foot Herreshoff sloop built in the 1930s, an Ericsson 27 and 32, a C&C 33. 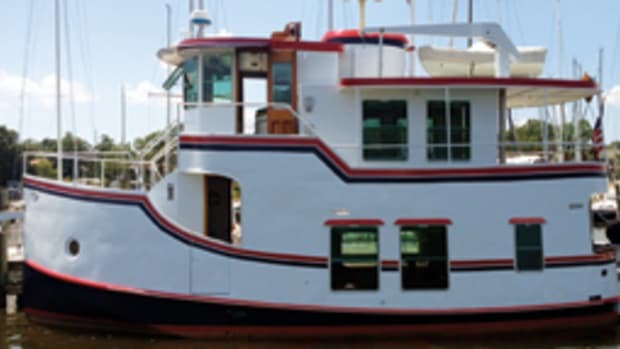 They made a few basic changes after the purchase, taking out the electric stove for a three-burner propane model and adding transmission controls in the saloon to make docking and anchoring easier. Still on the to-do list? Installing a new autopilot and refurbishing the cockpit. 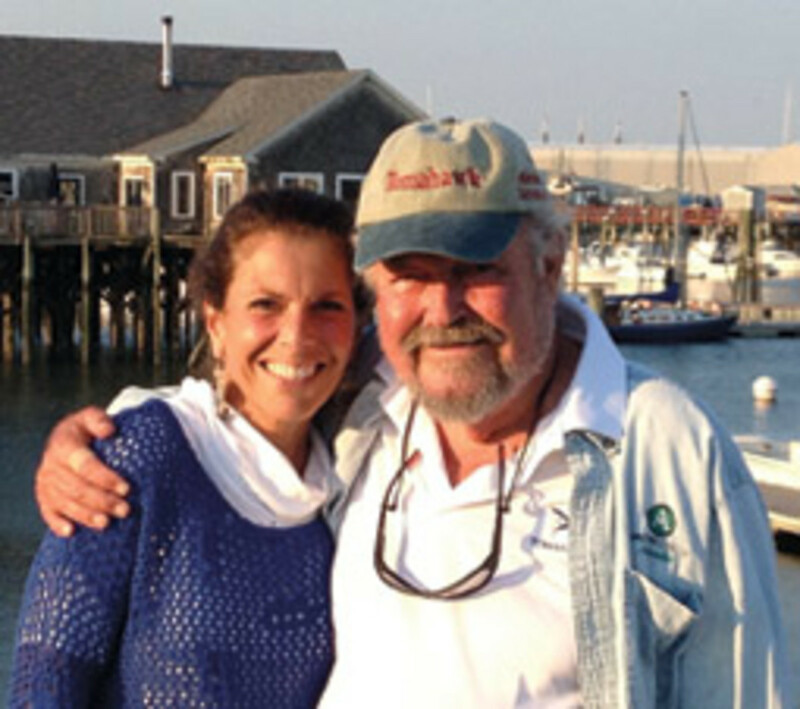 This summer, the couple pulled into Camden, Maine, during their annual cruise just in time for the schooner festival. There were 19 of the vintage vessels on hand, and fireworks highlighted the event — just the kind of evening that makes cruising such an adventure. Parker and McKnew’s “The Powerboat Guide” calls the Bertram 35 Convertible a “classic” with a “distinctive profile” and one of the “best 35-footers ever produced.” It rides an all-fiberglass deep-vee hull , and the upright profile shows a tall bow and an even sheer. The long, foredeck begins at the swept-back windshield and cabin house, topped by the flybridge. The helm station (reached by a ladder) is on centerline. with an oversized console to accommodate electronics. There’s plenty of room for fishing, and the cockpit has space for a prep center, a tackle box and a fighting chair. Extras such as outriggers, bait wells and fishboxes are easily accommodated. The single-stateroom/galley-up interior was altered during production. It revolves around a V-berth and head compartment (with a stall shower) below and a spacious saloon (with galley) and convertible settee. The later-model galley came with a three-burner stove, under-counter refrigerator and a microwave or toaster-style oven. With the standard gas engines offered, the Bertram 35 cruised at 22 to 24 mph. Optional 320-hp diesels push the top end to over 25 mph. The Bertram name hardly needs an introduction. 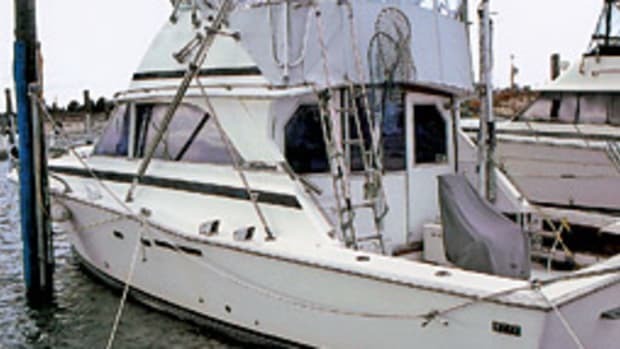 Since the debut of the 31 in the 1960s, the Florida builder has been at the vanguard of boating with a series of popular express and convertible fishing boats. Bertram is now part of the Ferretti Group and builds high-end sportfishing boats from 54 to 80 feet (www.bertram.com). After more than 50 years in Miami, last year it moved to a new facility in Merritt Island, Fla. The Bertram 35 Convertible was in production from 1974 through 1986, with a few interior and mechanical updates along the way. (A teak cockpit sole and interior were added, and fuel and water capacities were changed.) 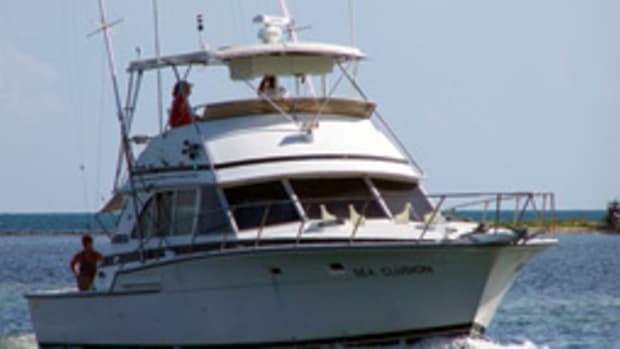 Easily found on the used-boat market, the boats run from around $30,000 to as high as $90,000 for those in exceptional condition. Keep in mind that some older Bertrams had problems with ethanol gas and fiberglass fuel tanks. 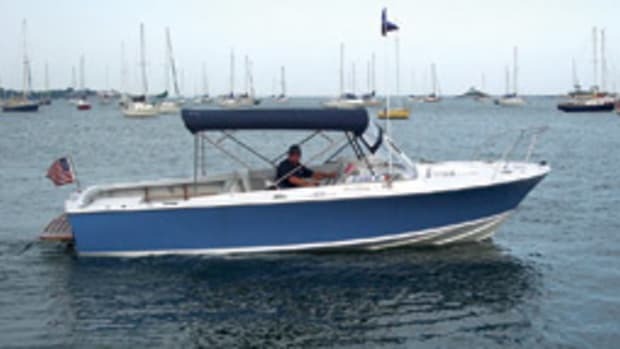 Click here to find more Bertram boats.